We all have busy lives, with no time to run from store to store looking for party supplies. Thank goodness for AJ's Party Port, serving this community for over 60 years. 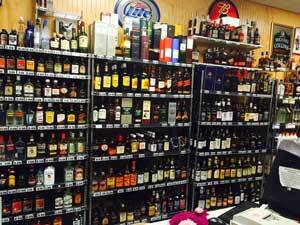 With the holidays approaching, you need to stock up on beverages, so make just one stop and make it AJ's. They also carry many tobacco products at the lowest prices around, including brands of loose tobacco, tubes, and cigarette rolling machines. They plan to stock more groceries in the store as well, making AJ's the most convenient place to shop. Sounds enticing, doesn't it? If you're a beer lover, you're going to love it here. 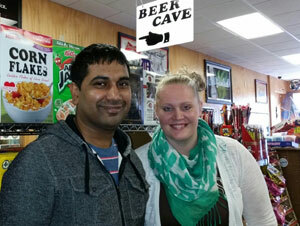 Inside, you'll find the "cave" stocked with premium imported beers, as well as a nice selection of domestics. 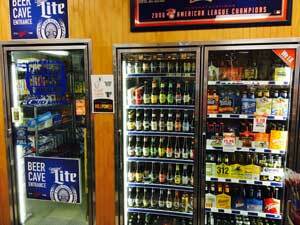 AJ's is also one of the largest suppliers of craft beers in the area. No matter what your taste, you'll find the right beer for the right occasion. Unlike most places, keg beer is always available and in stock at AJ's...so you'll be all set for your next party. Wine...perfect for dinner, for parties, or for relaxing at home. Why go anywhere else, when AJ's has over 300 varieties of whites, merlots, chardonnays, champagne, and so much more. Organic wines may be hard to find, but not at AJ's. They carry non-sulfite wines for vegans or for those who have sensitivity to regular wine. Big savings are available to those who purchase six bottles or more of wine...save 10% on your purchase. Let AJ's Party Port provide you with mixers, tonic water, wine coolers, and liquor. There are many brands you may not be able to find...except at AJ's. Choose from their wide selection of name brands, single malt scotch, single barrel bourbons and upscale vodka. Take some time and browse their shelves. You may discover something new you might want to try! They offer seasonal gift box specials, and will special order for you, just in time for the holidays. Did you know AJ's is a utilities pay center? Stop in and pay your bills with a check, cash, or money order. They also carry hand-rolled cigars, a rare product for this area. Need some party supplies, such as plastic champagne glasses or paper products? No need to go anywhere else..AJ's has everything you need. 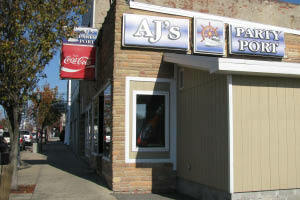 AJ's Party Port is open Monday-Thursday 8am-midnight, Fridays and Saturdays from 8am-1am, Sundays 9am-11pm. They're located in the 4th block of south James Street, within walking distance of the carferry, marina, and downtown Ludington. AJ's Party Port...the BEST place for all your party supply needs.